I'm an older man with a young heart and always open to learning new skills. I'm reaching retirement age but not ready to retire. I'm looking to start a business that will help me grow both as a person and financially' I have never been afraid of hard work and, after finishing a career in banking, I decided to do Lawn mowing and gardening for an income. Which I have been doing for the last five and a half years. I love gardening, science Fiction, reading and Aussie rules football. Hi Jim nice to hear from you. I look forward to getting to know you my new WA friend. Sorry about the terribly lengthy delay in responding but I am a bit slow at the moment. Trying to do too many things at once. I have left you a comment on your garden pest post. PS may I presume you too are an Aussie! Hi Jim thank you for the follow even though you are a Banana bender I am from NSW but good to have a fellow Aussie on board and as you have already read there are many of us here. Wishing continued success and I am sure as mentioned before your goals will be reached. Enjoy your evening and hope the storms and or heatwave have lessened for the moment. I know what you mean. We never know what's next. We to have a Cyclone hovering up north. Yea you guys up North and further up are getting the Cyclones but that is expected at the top, unfortunately. The worse ones are the type that go out to Sea only to come back with a vengance like the one you had a few weeks ago. It is amazing how diverse out weather is here in Oz. Snow, Sun, freezing weather, heat waves, hail the size of tennis balls, Cyclones. So much for the old saying beautiful one day perfect the next that certainly doesn't agree with Qld anymore. Thank you for the follow here. Science fiction is one of my favorite genres to read--need to settle down with a good series again. Usually go back to the Ender's Game series if there isn't something new to catch my eye! I wish you success throughout the journey here on WA! After living in New Mexico and moving to San Antonio, TX I thought of doing lawn mowing and gardening for income if I ever retire. My love of business and the many opportunities to start a new business online made me change my mind. But am loving mowing my own yard. I am 76 and still very active but really love the internet. Hi Jim, all the best in your endeavours here at WA, I'm quite new and looking forward to creating cash flow for the senior years. I liked reading your profile and just had to say something about Aussie Rules Football, don't know much about it but did watch it a few times and gotta say it's a crazy game of football with some pretty big lads crashing around out on the field. Maybe someday I'll switch out the North American style of football for Aussie Rules:-) All the best. I'll check out your website. I OFFER comments both good and constructive. I saw a site this morning and it needed some serious work as the front page was packed with graphics and widgets. Made it hard to read but the man has experience, The Website was producing so he needs to look at his site facts and decide if he wants to change anything to retain peoples eyes on the page, and retain eyes on site. If so. what to change. Wow your ranking went up by 63 today. You have been super busy. Isn't it a great feeling helping people. Congratulations. I love your website too. I love gardening also and have spent today in the great sunshine - Summer is a coming and my garden is blossoming. Love this time of year. Thanks for the follow, I too have quit working in corporate America and spent the last few years building things with my hands. I've been studying the art of making money online for the last 3 years and now have a chance to focus my energy. Here we go, time to grind. Hello Jim ... thank you for the follow. Is Aussie rules football what we call Rugby here in America? It's football time here in the US. Living in northern California I'm both a 49er and Raider fan in the NFL and of course my Cal Bears in local college football. A few years back the 49ers had an Aussie Rugby star (Jarryd Hayne) and I thought he was a great player, especially on kick off returns. He retired from American football before the Rio Olympics to pursue Rugby Gold. I believe he was recruited by the Fiji national team. Sounds like you have many passions so niche selection should be pretty easy for you. I wish you the best on your WA journey. Thanks for following me. With your experience and varied interests you have a lot of material you can draw from for your niche. For someone with a purple thumb, I could definitely use some gardening tips. God has already blessed you with the tools you need be a successful Entrepreneur. Hi Jim, Don't let age bother you. On Wealthy Affiliate, it is no problem to achieve at any age. We here, in South Africa are also going through a dreadful drought as I also love gardening it is an enormous challenge. Life can be a challenge which is what makes us stronger in the long run. Wishing you all the very best in this venture. I am 58 years old. One thing I enjoyed when living America for 5 years. They see the age of so called retirement age and the period after is called the second life. I like that type of thinking. I am 58 years old. I finished a BA hospitality management and tourist BA (hons) degree last year. I plan to get married to my Indonesian girlfriend in Bali next year. start some volunteer project when there. I believe we are as old as we think we are. Don't let others decide who we are and keep your dreams fresh in your mind and heart. You can have fun life a head of you. Just take small steps towards your dreams each day. All the best wishing you well in your starting a business. I have just started and inspired being part of this community. HI and welcome to WA. It is great that you could join us however I am a little worried about the Aussie Rules bit. Being an Ex Sandgroper and having a Aussie Rules footballer father I am more into the real football - soccer. That having been said if there is anything I can help you with please feel free to ask. I actually just launched another website on the 13th July and am stunned by Google analytics - I certainly did not expect to get so much traffic in such a short time. Not only is the environment causing some concern for some investments that can achieve 12%pa seem to be hitting the mark. Thank you for adding me to your network. I have added you to mine. I am a landscape contractor and designer, so we have a passion in common. I love the outdoors and anything to do with nature! I wish you the best on your journey here at WA. It's a great place to be! I see that you are doing very well for yourself. Keep up the good work! It's a pleasure to meet you! I look forward to getting to know you an' wish the greatest success on your behalf. Thank you for following me. I am clicking to do the same. An' Thank YOU, right back atcha'! Hi, Jim. Hope this finds you well and thanks for the follow. I have done the same. I hope you are enjoying all that WA has to offer. Next week I celebrate my 71st birthday and don't feel a day over 40. I am having the best time of life. Wealthy Affiliate has given me a new lease of life. Thank you Richard. I'm having a great time here as well. Certainly keeps you young. Hi JKulk1 I'm in my 50's myself and not getting any younger. I'm also trying this for the first time, I've seen it on YouTube and wanted to experiment with this Affiliate Marketing. Feels odd, like being at a job in which I have no experience in and just stumbling along. Well any way I'm in your corner. Hi Gene. Thanks mate. I'm certainly enjoying WA. It’s nice to meet you,lots of Irish football (GAA)players go to OZ to play your style of football,some have been quite successful a lot of the skills are transferable. Best of luck here at WA, it’s a great place to find similar type people to yourself and build an income producing website. Thanks Fintan. Yes, lots of AFL players have Irish ancestors as well. They seem to make great Aussie rules footballers. Good to meet you and thank for the connect will do the same. Absolutely know where you are coming from, and will cheer you on to success building out the next part of your life. here's to your success and welcome to the WA Community. Thank you Dino, Canada is one place I've always wanted to visit. WA might help me get there. And yes I believe that this is a vehicle to make that happen. Here's to making that happen. Dear Jim, welcome to our WA community, you're on the right place to start an online business! Thanks for sharing and for adding me to your WA network, much appreciated. Success with your course, keep on track and let's stay in touch. Thanks for inviting me to be a part of your network of friends. I sincerely hope you will find your experience at WA a rewarding one. WA has provided me with an incredible education in online marketing. I'm sure you will benefit a great deal from being a premium member of WA. Your experience in banking and lawn care give you two very good backgrounds to benefit financially online. Stick with the training and you should will succeed. Patience and persistence are two important points to always remember. breathing so I am happy and thankful. Hi James, as I read your post I was moved to share this valuable information with you that has helped me understand so much about heart health. Please take the time to visit this website. Dr Bruce West has helped so many recover from conjestive heart failure in the final stages. Read the testimonials. Hey Moko. I did visit the website. He is very much right on the money. never say no regardless of the side effects of the drug. believe there is many plant formulas that work wonders. power can and will over come health issues. and break some part of my body, get a Doctor. quick as possible. Just my perception. Be your own judge. Thank you James and thank you for sharing your thoughts. Life is full of difficulties and I wish you well. yep, there is nothing wrong with hard work...when we were younger...now we are a bit wiser and older and the bones start to ache, so we have to adapt. Have fun here at WA. Welcome to WA, like you was looking for a business as I near retirement. This is the most amazing place to get incredible training on how to set yourself up with an online business. There are plenty of awesome people ready to jump in an help. Who do you support (Aussie Rule)? Thanks Sheryl. I'm a mad Collingwood supporter. Greetings and welcome to WA. This community and the education here should be a great fit in helping you succeed. Thanks for following me. I am now following you as well. 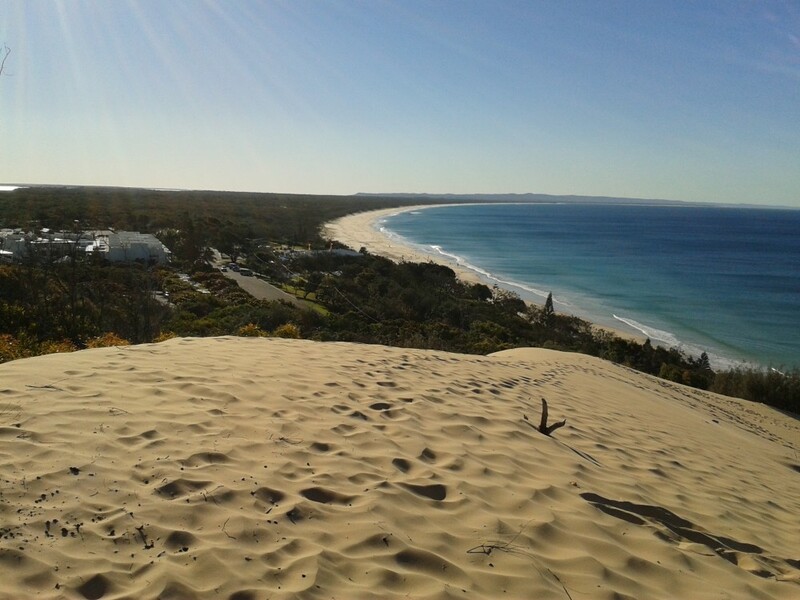 Your picture looks like one of my favorite beaches in Western Australia. I really enjoyed my time there. Thanks Kevin. 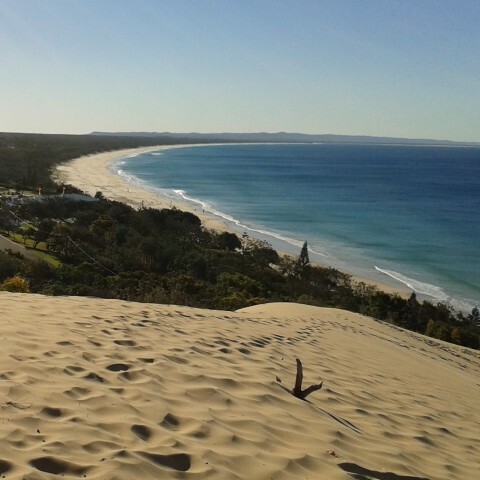 It's actually taken from the top of a huge sand dune at Rainbow beach Queensland. About 90 klms from where we live. Thanks. I check out your site. You rock! Wish you the Best in your marketing venture at WA. Keep goin ahead! Cheers, again! Jim, thank you for the follow I will follow you too! 64 and still working. I am here from Nov.2017 and am about to launch my first site. I know it will be fruitful, or at least like to believe it. You Jim have what it takes, inner confidence. Y'know no one will do it for you. You and you alone will blaze your trail. What is going for you is WA members and most of us if not all are here like you. We as well as you "see the light." Now make it real buddy! Have a great day my Aussie friend! Hello Jim, from another resident of Australia. Where are you and which team do you follow? Don't know if you've visited my website www.onlinelearnandearn.com, it's for seniors wanting to earn money online. Please fel free to visit and leave a comment on one of the posts if appropriate. Thank you Adrian. I will definitely have a look. I'm a fanatical Magpie supporter. Don't know how far back your memory of Collingwood goes but my wife's parents' had a relative or two play there by the name of Collier. Interesting to see you have a banking background. Before moving to Perth from Melbourne I was at Challenge Bank which formed from Hotham Building Society where I made my entrance into the Australia workplace from England in 1981. Looking forward to keeping in touch, Jim. Collier sounds familiar. I started supporting Collingwood at about four years of age. So I guess I've been a supporter for around 60 years. Thanks for the follow and I am now following you. I have just scrolled down the comments and see Aussie rules football has 18 people per side on the field at one time - that's a lot of people! As it is a contact sport is it a bit like rugby or is it sacrilege to say that?? Good luck with your work here. Thanks Hazel. Definitely a sacrilege. All of those sound like amazing niches to get into!! I love gardening myself, some science fiction and reading, but was never learned about Aussie football, however I am a lover of American football. Welcome to WA and I wish you all the luck! We are all here to help you grow in your success. Thank you for the follow, I will follow you back. Hello there, Jim and thanks for the follow. We follow you back. Welcome to the WA platform and community. We are retirement age but cannot retire yet. So after much investigation (so many scams out there) we found the authenticity and openness of WA. We are still going through the training and loving it. Lots to learn! Sounds like you already have some great niche ideas, with your interests. Thanks for reaching out! I'm following you back. Life is full of new beginnings, and learning something new can be challenging, but I'm sure you've come to the right place! There are many friendly and helpful people here, so I'm sure you'll fit in quite well! Welcome to WA! Wishing you the best and success! Hi Jim! If you look ve Aussie Rules then I have to assume you live across the Ditch! I’m in New Zealand so Rugby is the religion in our house! Good on you for trying your hand at something beyond your comfort zone! With an attitude like that you are sure to succeed. Just remember this take time and effort. I look forward to seeing your posts. All the best and thanks for the follow! Thank you Melanie. My granddaughters partner is also from New Zealand. He's an avid Rugby fan and player from Greymouth. Hello Jim and Welcome To Wealthy Affiliate. Thank you Robert, I look forward to reading your blogs. No probs Jim and if/when you read my blogs make sure you choose the ones that will help you in conjunction with whatever training you are currently taking. Thank you,. So very true. Hello Jim,♫Welcome! I am so pleased you found WA. Nice to meet you ツ I wish you a lot of learning pleasure and fun at WA. Thank you for adding me to your network. Hello. Welcome to WA Premium. You have done well by upgrading to this level. It is a great level to be to increase you chances for success on your online business. I wish you all the best here at WA. I will have 1 million followers.